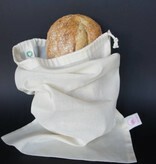 The bread bag of the Dutch brand bag-again® is made from unbleached organic cotton voile. 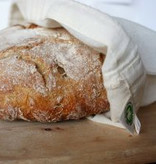 With drawstring closure. Wash at max. 30°. The fabric will shrink slightly. 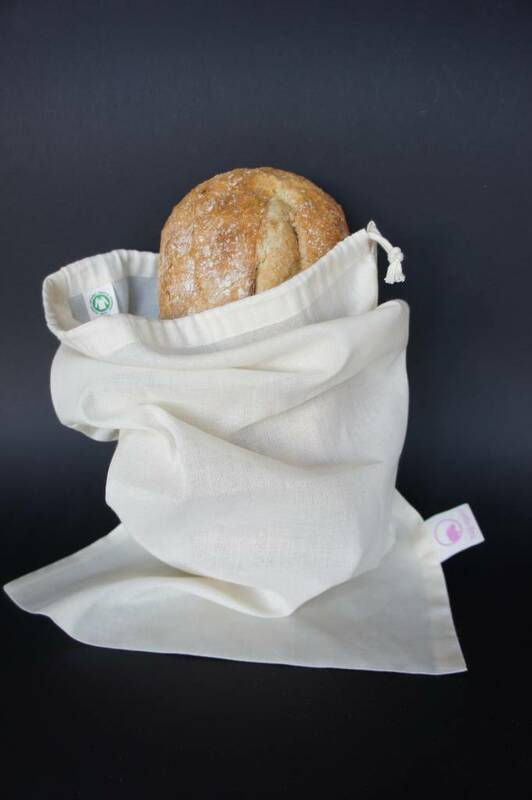 This has been considered in the dimensions of the bread bag. 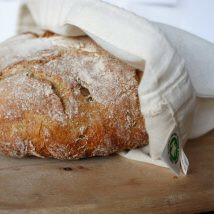 The bread bag can be put in the freezer. Unlike freezing in plastic, the crust remains deliciously crunchy.